Skillet frontman John Cooper usually stays busy with his main band, but now, Cooper has kicked off a new band called Fight the Fury. 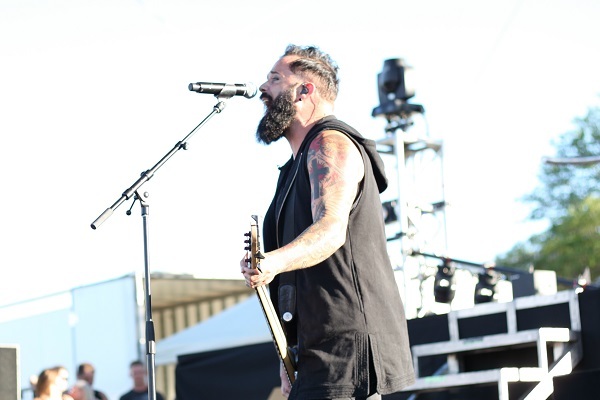 As Cooper explains in a statement, the group, which also includes Skillet guitarist Seth Morrison, will have him making heavier, louder and tougher music. Today (Sept. 28), Fight the Fury has officially announced that their debut EP, “Still Breathing, will be released on Oct. 26 via Atlantic Records. The band also released a new song, “My Demons,” which can be streamed below. Fight the Fury will also tour throughout Russia in December and possibly do some North American dates down the road, too. In other news, one of Cooper’s band mates in Skillet, drummer Jen Ledger, recently released her debut solo EP, Ledger. Speaking with Audio Ink Radio in a recent interview, Ledger said that releasing her own EP feels powerful and magical.